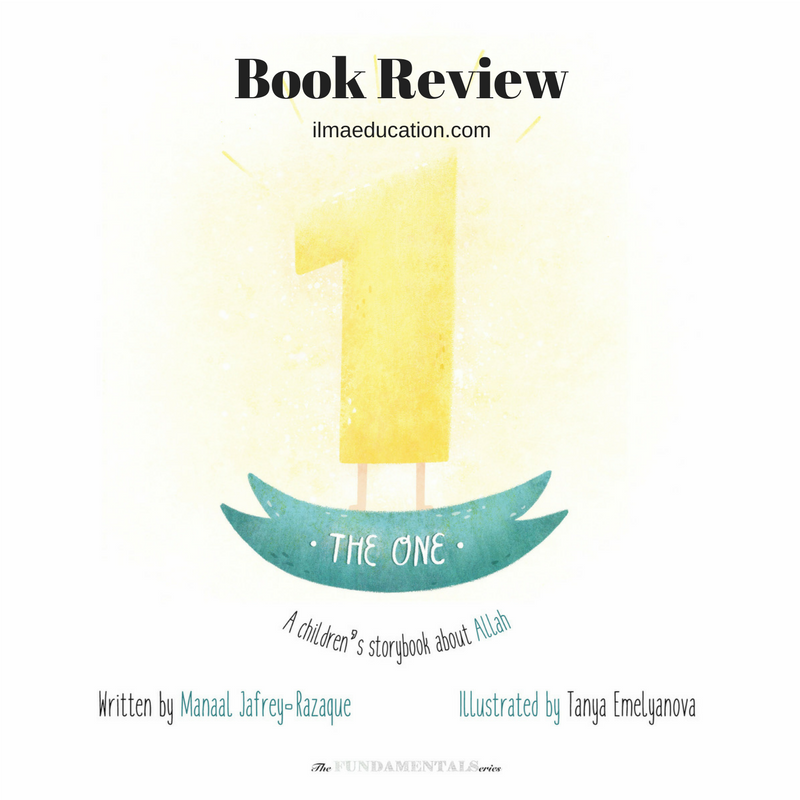 The One is a fun-to-read, rhyming storybook about Allah that touches upon fundamentals of His creation, proving Allah’s existence, and introducing some of His attributes for children to grasp from an early age in order to instill awe and love for Him,even though He cannot be seen. 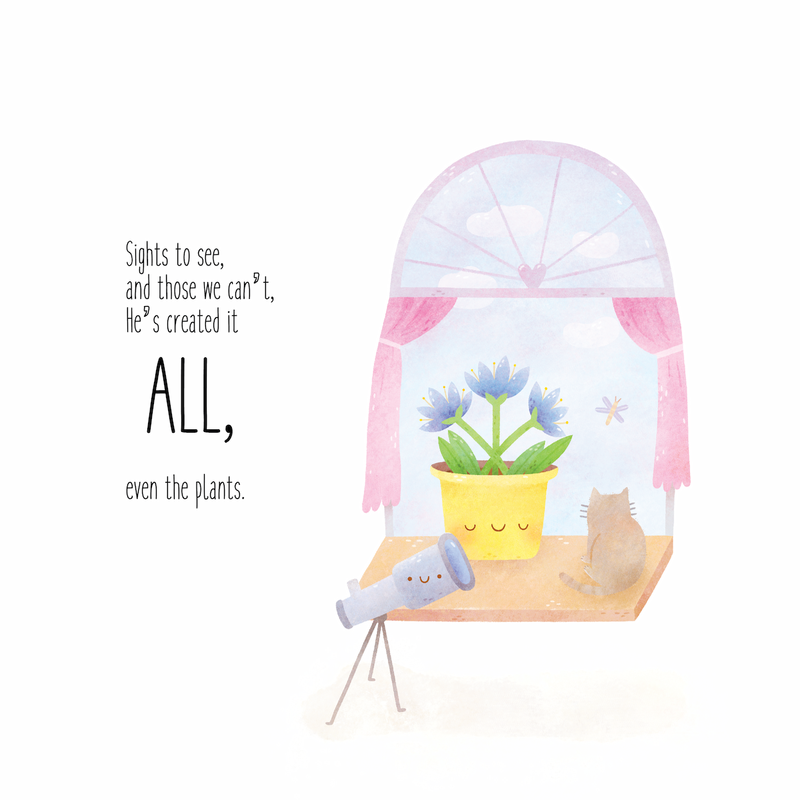 Everything about this book is so sweet and adorable, from the wording to the delightful illustrations. I don't normally like rhyming books just because most of them sound so cliche and don't flow naturally off the tongue - it's like the words were forced. Not so with 'The One'. It was a real pleasure to read it. When it comes to illustrating about Allah, the question always arises as to how one goes about it. Usually the illustrations would depict some aspect of the creation. This is true with 'The One' as well but what makes it different is the illustrator also gave inanimate objects and even numbers and letters character. 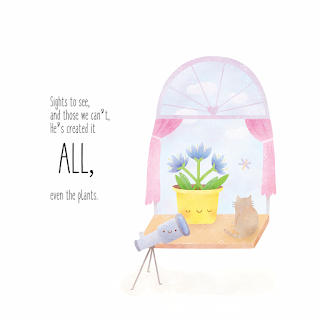 Look at the sweet flower pot and telescope below. Adorable! 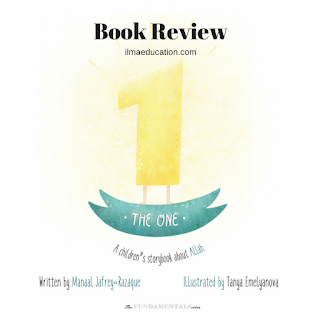 The only downside that I've found to 'The One' is since the colours of the illustrations were done in muted tones, it was hard for children to see in a group setting. However, if you're a parent who likes to read with her child on her lap then this is a great book to cuddle up and read together.